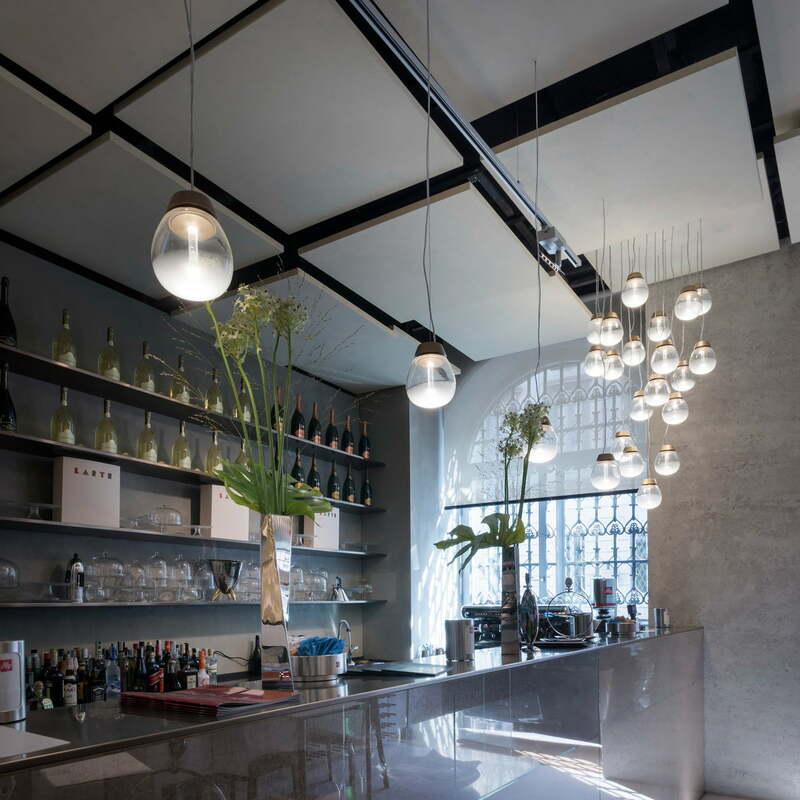 The Empatia LED pendant lamp by the Italian designer Carlotta de Bevilacqua is characterised by its voluminous glass body that is handcrafted in a Venetian glass blowing workshop. Each lamp is unique and has its very own charm. 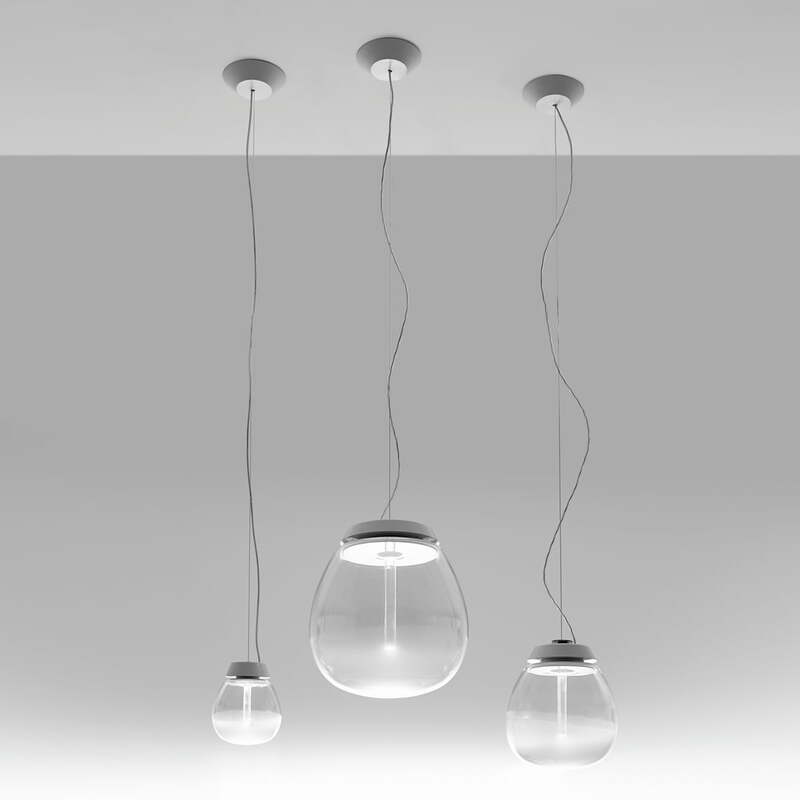 The body is moulded in the shape of a drop using an elaborate technique, which creates a soft light that is evenly distributed around the room. The light source is a round rod made of polycarbonate inside the glass body, through which the LED shines to produce a particularly glare-free light on the outside. The LED light is soft, without losing any of its brightness. 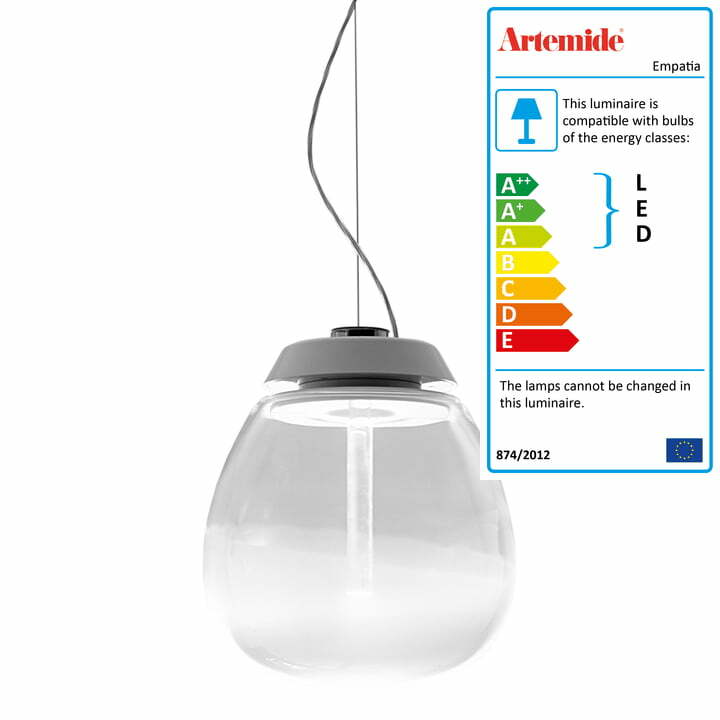 The Empatia LED pendant lamp is an excellent example of a successful symbiosis of traditional craftsmanship and modern technology, which is expressed in the form of a unique light object. The elegant pendant lamp finds its place in the kitchen as well as in the living room or bedroom. Arranged together in a row or as a cluster, the elegant lamp is a real eye-catcher that provides a natural feeling light to any room. 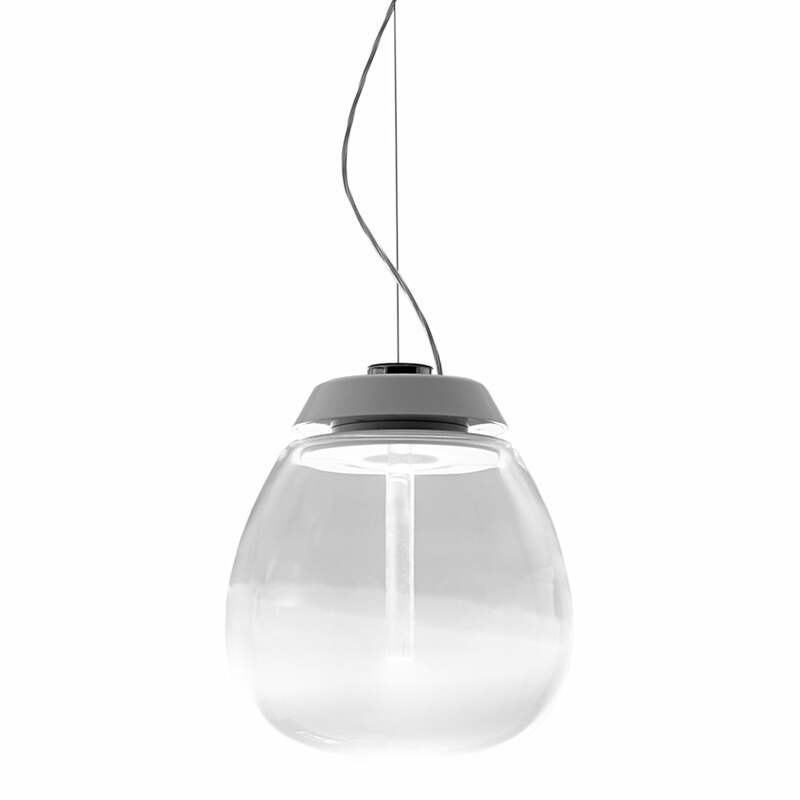 The Empatia pendant lamp is available with a 16 cm and 26 cm diameter. The LED lightbulb is built in.